A discovery magazine for horse-crazy kids. Join us as we share some laughs with Fergus the wise and witty cartoon horse. 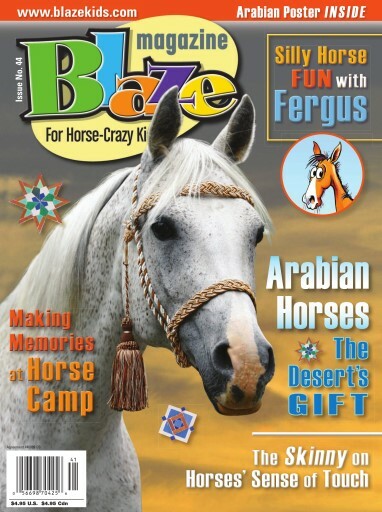 And we'll take a trip to the desert to learn more about our featured breed, the Arabian horse. Have you ever wondered about how well horse's feel, find out in Horses are Sensation as we look at their sense of touch. Plus, making memories at horse camps, jokes, crafts, contests and much more.